Why does it seem like it gets harder and harder to make time for yourself? You keep meaning to put yourself first, but then your kid gets sick, or you get a promotion at work. There’s a never-ending pile of chores to do around the house, and now you’ve got family visiting. Life has become too overwhelming. 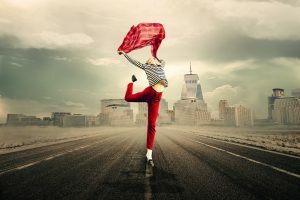 Luckily, there is a solution to make balance a priority in your life, and it doesn’t even take much of a time commitment. A visit to the spa can greatly improve your mental outlook. Even if you try to escape for a few minutes while inside your hose, inevitably someone will find you. A child, a partner, even the telephone. While your home should be an oasis, it can more often feel like a zoo. If the chaos won’t leave the house, then it’s up to you to leave. A visit to the spa gives you a reason to escape the madness. The constant lure of the smartphone is enough to distill any belief in a moment of calm. There’s always one more email to read, one more text to send, and one more meme to laugh at. When you’re at the spa, you don’t have the opportunity to check your phone, and this is a good thing. Despite your best intentions to use your phone less, the mere presence of it is enough to break that promise. Sometimes you need to be forced to leave the technology alone. There have been countless studies that link spa services to mental clarity. 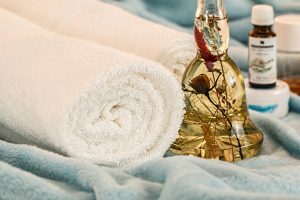 Whether it’s a deep tissue massage that removes back and neck tension, or a calming facial that soothes your skin, you will feel happier after a visit to the spa. Your body and your mind work together. If one is feeling stressed, so too will the other. Make both your body and your mind a priority so that they can get back to working harmoniously. If you’re living day to day and just trying to get through the chaos, it can be hard to see the light. But if you have an appointment booked for a visit to the spa, suddenly there is light at the end of the tunnel. It’s important to have goals to work towards. A visit to the spa can seem like a silly goal, but it might just be the motivation you need to keep going. When you’re stressed your brain starts to shut down and you can begin to think that this will be your unfortunate life always. 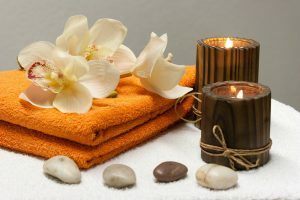 However, when there are breaks to look forward to, like a visit to the spa, it can make your life seem a bit rosier and really improve your mental outlook. It’s finally spring! No more hibernating under the covers, waiting for the world to warm up. No more dreary afternoons where the sun sets far too early. When spring comes there’s a certain increase in happiness. To help you transition from winter to spring, we’ve put together a list of aspects to consider. You want your body in tip-top shape to enjoy this beautiful season. Even if you just have a low SPF sunscreen, at around 15, it will really help prevent skin damage. 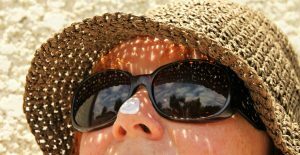 After a season of cloud and weak sunlight, it can take a while to get back into the sunscreen regime. But now that it’s spring, be sure to start protecting your skin now. A nice alternative to sunscreen is lotion that has an SPF element included in it. This way you can moisturize and protect your skin at the same time. Just be aware that the SPF element will time out. If you’re using face lotion, be sure to apply before you leave the house. And, if you will be out in the sun for more than a few hours, you will need to reapply. Typically, sunscreen needs to be reapplied every two hours, and the same will be with your face lotion. Hopefully, you’ve been moisturizing during winter. With its cold temperatures and dry air, your skin will need an extra layer of protection. You might be thinking you can finally ditch the moisturizer, but alas, you will still need as you transition from winter to spring. Blustery days can wreak havoc on skin. You’ll also want to keep the lip balm out as your lips need to be protected for all seasons. It can be a bit comforting knowing that in the winter months you can forgo the rigors of regular shaving or waxing. But with spring comes warmer weather and a different wardrobe. Start with underarm and leg hair and as the weather warms up you can start thinking about your bikini area more. The nice thing about spring is that it’s usually a gradual warm up, so you don’t have to ditch the winter coat all at once. Spring is beautiful. With new buds on the trees and flowers poking up there’s a lot to celebrate. Unfortunately, these wondrous sights often bring the dreaded allergies. Suddenly your eyes are itchy and you can’t stop sneezing. You can take an over the counter medication but it’s really best to see your doctor. Have an allergy test performed so you know just what is causing your watery eyes. Knowing what you are allergic to can help you prevent some of the symptoms from forming. It’s always best to talk with a doctor before you take any medication, even one that doesn’t require a prescription. Your skin is the largest organ in your body. It tells a story of what you have done in your life. It’s important, then, to show respect to your skin. If your skin feels dry or uncomfortable, then it needs to be better hydrated. Here are four simple ways you can keep your skin hydrated. Water is our life force. Without it, we would simply not exist. Yet people still take drinking water for granted. There always seem to be better options available to drink, or maybe you just don’t feel very thirsty. But drinking water is essential. Not only does water contain the all-powerful element of oxygen, which your body needs to function, but it helps keep everything regulated in your body. If you aren’t used to drinking water, then start slowly. Switch to tea or flavored (unsweetened) water instead of pop or energy drinks. Make sure water is readily available to you. If you sit at a desk for long periods of the day, invest in a water bottle so you don’t have to get up to refill it. You can also ask for help from your partner. Do them the courtesy of filling two glasses of water when you go to sit down next to them and have them do the same. The more water you drink, the happier your skin will be. Wearing sunscreen is essential in the summer, but you should also wear it year round. Even in the winter, the sun emits harmful UV rays, so be sure to stay protected. If you don’t have a lotion that an SPF to it, you can apply a light sunscreen to your face and skin before you go outside. The sunscreen will act as a barrier and keep your skin from becoming damaged and dehydrated. It will also look naturally younger. Skin moisturizer is important to wear year-round. Whether it’s the harmful rays of the sun in the summer or the dry air of the winter, your skin can sure take a beating. Protect it with an extra layer of moisturizer. Simply apply in the morning and you can keep your skin hydrated throughout the day. If you have especially dry skin, then a night moisturizer is also a good idea. Our skin has natural oils that are a good thing. While nobody wants to feel dirty or grimy, we should embrace the natural defense that our skin has. Keep washing to a minimum, no more than twice per day. Also, be careful with really hot showers. While they may seem nice, the hot water can further strip away our skin’s protection. Before you start your first round of laser hair removal, you will probably have a few questions and concerns. Here are common questions and there answers. Yes. When you visit a professional salon such as Leeza’s Laser, you can count on trained technicians who know what they are doing. If you’re new to the laser hair removal scene, be sure to look around and find a trusted, recommended place. As for the laser itself, the light energy that it emits targets only hair follicles. This means that the surrounding skin won’t be harmed. Some people react to wax or even sugaring techniques because of the substance that needs to be applied to the entire skin area. Laser hair removal, on the other hand, only targets hair. Generally, most people do not experience pain with laser hair removal. When the laser touches the hair follicle, you may feel a gentle pinch on your skin, but this will only last a few seconds. Once the laser moves to a different area, then you will no longer feel pain from it. For larger areas that are undergoing laser hair removal, we can use cooling equipment that will help with discomfort. While you may be used to feeling pain after a waxing session, the good news is that with laser hair removal, you won’t feel pain after the session ends. The end goal with laser hair removal is to completely remove the hair and prevent it from growing back. 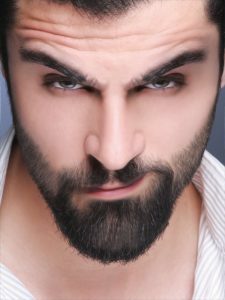 Some larger areas of hair will need multiple treatment sessions for this to happen. Other areas will only need a bit of treatment along the way. This depends on genetics and the thickness of the hair to begin with. No matter what, each laser hair removal session will result in less hair than before. Where On My Body Can I Use Laser Hair Removal? The nice answer to this question is that it can be used anywhere. While we’re not advocating for complete removal of all body hair, it is nice to know that you have options. It’s suggested that you start with areas of your body that you find yourself frequently removing from hair from. For example, if you have a few persistent hairs between your eyebrows that you need to pluck every other day, then laser hair removal is a perfect option. The same goes if you have unwanted hairs above your lip line. 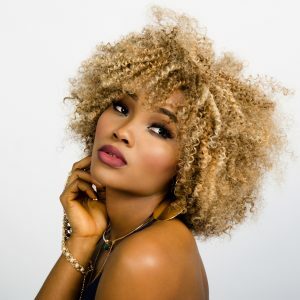 For those that tire of shaving their underarms daily, or tire of waxing their legs or bikini area, then laser hair removal can help remove this part of your daily grooming habits. Remember that for larger areas, such as legs, longer sessions will be needed to target the entire area. If you therefore have a long list of body hair you want permanently removed, start with smaller areas to make sure the procedure is right for you. Do You Need To Worry About Sun Spots In Winter? Sun spots are dark areas of your skin that have developed because of exposure to the sun. They can be small and freckle-like or can be a bit larger in nature. Sun spots are noncancerous and should not be confused with moles or irregular spots that develop suddenly. However, if you are concerned at all about any skin spot, you should ask your doctor. Sun spots become noticeably darker in the summer as you have more direct exposure to the sun. In the winter, they often fade because the sun is not as intense. Sun spots can therefore, be forgotten about for half of the year, only to return. If you are worried about the appearance of sun spots, winter is actually a good time to think about them. If you’re stuck at home in the winter, trying to keep warm as it snows outside, why not try a natural remedy or two on your sun spots. Aloe lotion – This tropical plant is used for many skin ailments, most noticeably as a soothing ointment for burns. When applied to sun spots, it can actually lighten darker pigmentation of the skin, such as sun spots. Place aloe lotion on your skin and leave on for a while so that it can penetrate into the skin. 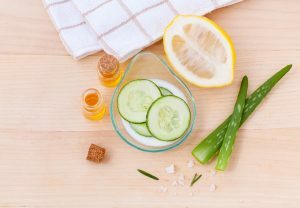 Apple cider vinegar – Now becoming increasingly common to treat all manner of skin issues, including acne and foot fungus, apple cider vinegar has also been proven to lighten sun spots. Soak a small towel in the vinegar and then place on your skin. Try to let the skin absorb as much of the vinegar as possible. Black and Green Tea – Go ahead and brew a pot of your favorite black or green tea and be sure to keep a bit left over for your skin. Place a small towel that has been soaked in the tea and place on your skin. Let it rest for a while. Both types of tea are able to lighten sun spots. If you’ve tried natural remedies and aren’t satisfied with them, or just want better, more immediate results, then it’s a good time to call a professional. You can have a chemical peel performed that will help remove the sun spot. What’s nice about professional treatment is that it will remove the spot. Natura remedies will only lighten their appearance. 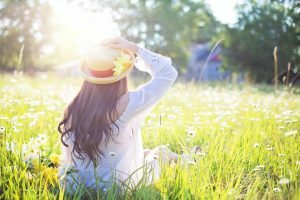 While many people don’t think about having their sun spots removed until the bright summer sun has made them more visible, it’s a good idea to get a jump on rejuvenating your skin. The more prep work you do in the winter, the easier it will be to slide into summer, ready to hit the beach. It’s cold outside. The snow is piling up, the dry, cold air is wreaking havoc on your skin. You’ve had enough and there’s only one thing to do: go on a winter vacation. Whether it’s California, Mexico, or the Caribbean, a winter vacation is a chance to warm yourself and find a bit of paradise. But, there’s plenty to be done before you’re ready to board a plane. Before you start to plan your winter vacation, it’s nice if you can head out with friends or family. Spread the word to see who else is looking to escape the snow and cold. Maybe a few friends are also looking for travel companions. If you plan on renting an apartment, then you can save a bit if you have someone to share it with. Plus, if you’re a sociable person, it’s nice to be with a few friends. One other interesting social endeavour you could try is getting in touch with friends you made from your last winter vacation. If you met a fun couple or person at the last resort you stayed at and got their contact information, then send them a quick message. Maybe they’re getting ready to book their next vacation and you can line up your dates again. It’s pretty fun if you can make vacation friends from around the world. It may have only been a few months since you last wore your summer wardrobe, but a lot can change over winter. Be sure to pull out your beach clothes and try them on to see what fits. If you have time to diet and step up your exercise routine, it’s best to do this to fit into your summer clothes. If not, hit the mall and treat yourself to a few staple dresses that will work well on the beach and feel you confident in your body. Winter is definitely a time to go a bit more au naturel when it comes to body hair. Less revealing clothes means that you don’t have to worry too much about your bikini line. But if you know you’ll be laying out on the beach, then best to get ready for your bathing suit. Before you take off on your much needed winter vacation, be sure that everything is taken care of back home. Pets need a place to stay, or someone to feed them. Bills need to be paid. If you are in the middle of a particular cold snap, be sure that water pipes are taken care. This way nothing bursts due to the cold and floods. Let your neighbours know you are going so that they can pick up any newspapers. The more prepared you are at home, the more at peace you will be on holiday. 2019 is fast approaching, and with it the dreaded New Year’s resolutions. We seem forced to make resolutions, knowing all too well that we’ll most likely break them before February even hits. But resolutions are a good thing to be aware of; they just need to be practical and attainable. Let’s take a look at how you can get the most out of the new year. To begin with, take stock of your personal values. These reflect the kind of person you are and the kind of life you want to live. New Year’s resolutions need to accommodate these values. Most people can’t make an extreme change when it comes to values, so it’s best to work with what you already have and build on them. If you value family, then perhaps a good resolution is to visit your family more often. If you value financial freedom, then think of ways to either increase your income or to cut costs. The important idea is that you are aware of the values that make up your unique self and you try your best to keep them alive. Instead of thinking of resolutions, think of goals. Resolutions have this connotation that complete changes need to be made. Goals, on the other hand, build on what you’re already working towards. They also have milestones that you can accomplish along the way. Make a list of short-term goals and long-term goals. Then, prepare steps to meet them. The more work you put in ahead of time, the more successful you will be. You are not in this alone. A new year can be about reaching out to others. Joining a book club, a fitness group, or a brunch club. Meeting new friends or spending more time with old friends. A new you is about being the best you can possibly be, and that usually requires the support of others. One of the best ways to celebrate the new year is to take time for yourself. You can pause and regroup after the hectic holiday schedule. Head to the spa, get a new hair style, and pamper yourself. You’ll feel better about what you want to accomplish and have more energy as well. If you’re ready for a new year and a new you, you might be unsure of where to start. The best place is at the beginning. Invest in a calendar, agenda, or phone app so that you can commit to your goals and resolutions. Talk with friends and family and make a plan together. It’s important to look at end goals, but also break everything down so that it’s not overwhelming. Your new you isn’t a total transformation. It’s just finding the best version of yourself to shine.